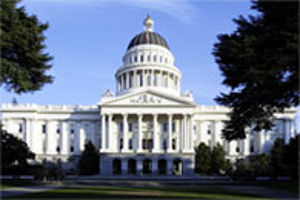 Recently, California Citrus Mutual (CCM) hosted a lunchtime briefing at the Capitol. The purpose was to update legislative staff on the status of HLB in California and the industry’s continued efforts to prevent the disease from spreading into commercial groves. The briefing included a panel discussion with CCM Director of Government Affairs Alyssa Houtby, California Citrus Pest and Disease Prevention Committee (CCPDPC) Interim Director Victoria Hornbaker, and Neil McRoberts, scientific advisor to the CCPDPC and entomologist at the University of California, Davis. “Our goal in hosting the briefing was to provide legislative staff with a comprehensive overview of the issue and how the industry, by partnering with state and federal governments, residents and the research community, is working proactively in the urban areas to prevent the disease from devastating the commercial industry as it has in Florida,” says Houtby. “It’s very important that the legislature understands that citrus growers have invested millions of dollars into stopping HLB, and most of those funds have been directed into urban areas to protect backyard citrus trees. In both 2017 and 2018, the legislature approved funding from the state General Fund for the Citrus Pest and Disease Prevention Program (CPDPP) to continue carrying out the program’s core activities, including survey and sampling, the biological control program, and public education and outreach.